Scots Church Roll of Honour lists those from the parish who served in World War One. 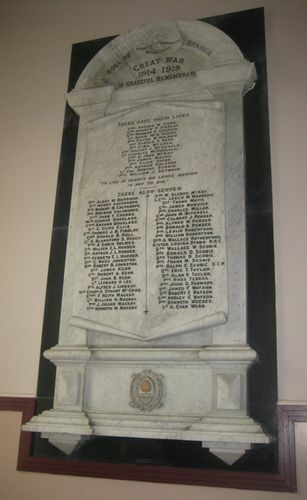 The honour roll is made of white marble and is located on the left hand side of the pulpit. The white marble slab sits atop a black slab and is attached to the church wall. ( insignia of the Presbyterian Church of Australia ).